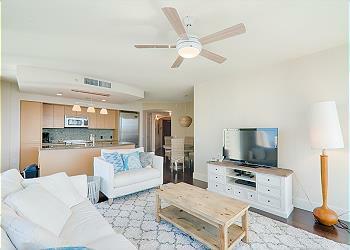 Allure Waikiki is located at the west side of Waikiki near where the Kalakaua ave and Ala Wai blvd cross. Allure Waikiki is along the Kalakaua ave. Heading towards the west side along Kalakaua ave there is Hawaii Convention Center. And head east side of the street will be heading toward the center of Waikiki where there are many shops and restaurant. 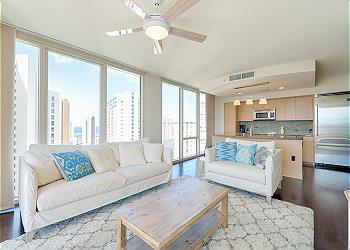 Ala Moana Center and Kakaako district is about 5-10 minute drive from Allure. For your convenience, 7-Eleven is located right across the street of Ena Road. And a grocery store name Food Pantry is located around the block behind Allure Waikiki.